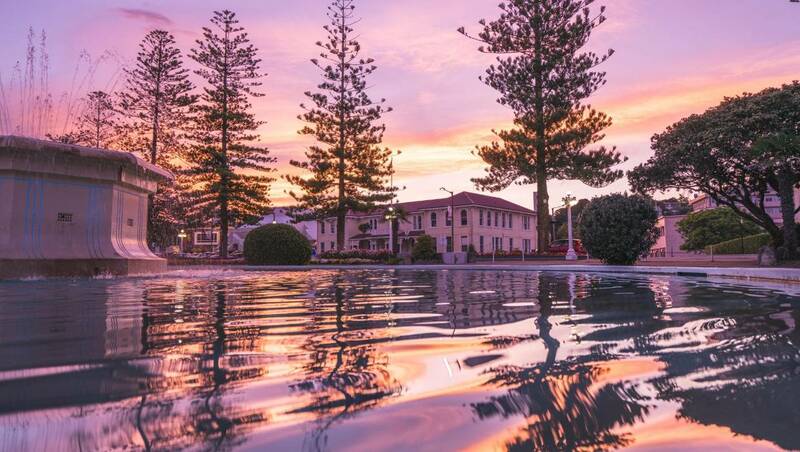 I had an affair in Napier. I cheated on my former love, one that I thought I’d have for life. Don’t panic, it’s not quite what you think. After living in Wellington and visiting more than 60 countries, I always thought the Capital was my favourite city, a place I would always call home. Then along came Napier, it stole my heart. You can’t help but fall for this little city. It remains the scene of New Zealand’s deadliest disaster, and through the ashes of the 1931 earthquake rose – not only a celebration of art deco – but a celebration of incredible strength and resilience. 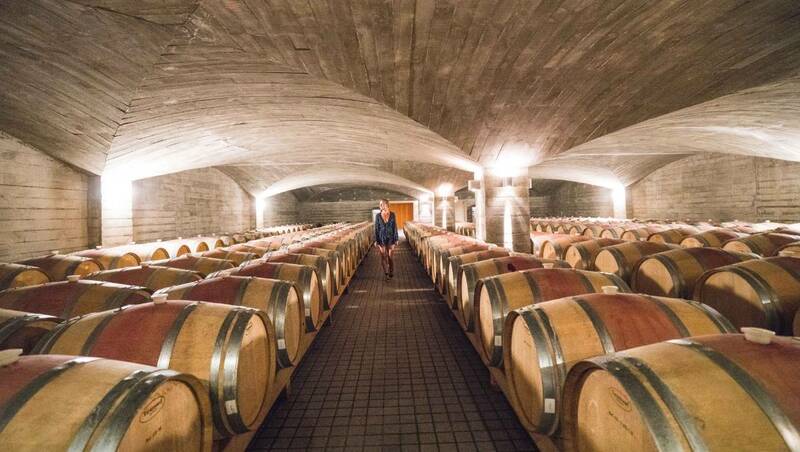 The region is far more than a funky city; its vineyards blanket the land in every direction – and from these fertile rolling valleys come most of the country’s red wine. Sitting under a vine on a sizzling summer afternoon, being served some fine local fare – with a drop to match – reminds me of a week spent on a little Greek island. It’s true, if the world flipped upside down Napier would be smack in the middle of The Mediterranean – I’ll drink to that. 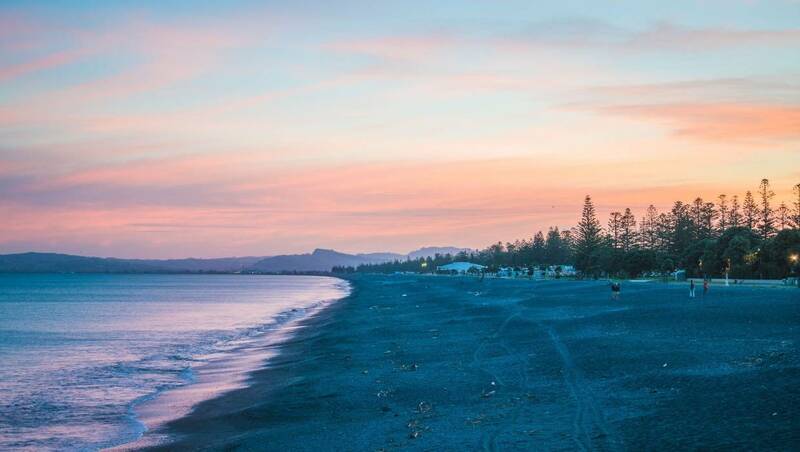 Getting on a plane to Napier is, of course, a lot easier than getting to Greece – so if you fancy a little mini-Med break, here is a beginner’s guide to everything you need to know about Hawke’s Bay. The 1931 Hawke’s Bay earthquake killed 256 people, injured thousands, and levelled almost all buildings in Napier and nearby Hastings. Fires broke out in Napier, engulfing almost everything still standing – and with water mains broken – little could be done to save trapped survivors from the inferno. Can you imagine the dark days that followed? Not only did hundreds of people die, but few were insured and the world was in the grips of the Great Depression. Many people were left with a pile of rubble, and a mortgage to pay. Four architecture firms joined together, their workers doing shifts around-the-clock, to design a new city. Art deco was at the height of its fashion – with its bold geometric shapes and loud contrasting colours – and picked as one of four styles to recreate the city with. 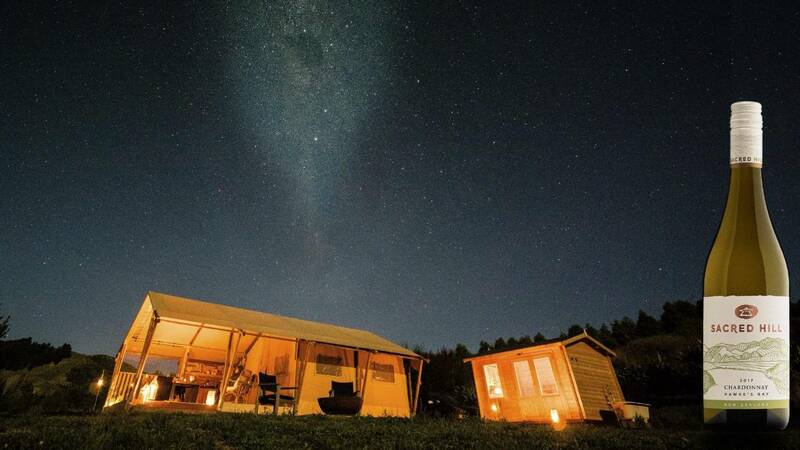 What emerged from the ashes, in just two years, is a celebration of the Kiwi can-do attitude – and now a world-renowned tourist attraction. 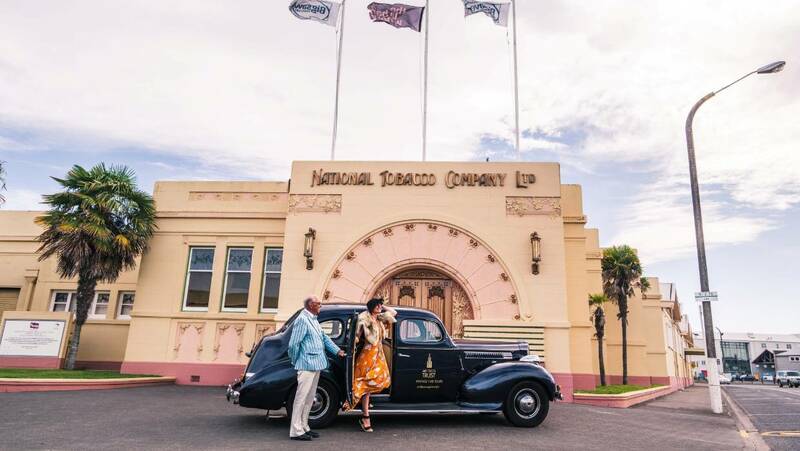 The best way to appreciate the stories behind the buildings is to take an Art Deco vintage car tour – you’re even given a wardrobe to dress up in a period costume if you wish. Our driver, Brockie, picked us up in a 1930’s Packard, a little like an American version of a Rolls Royce. We toured all the most famous buildings, peppered with amazing tales of the rebuilding effort. 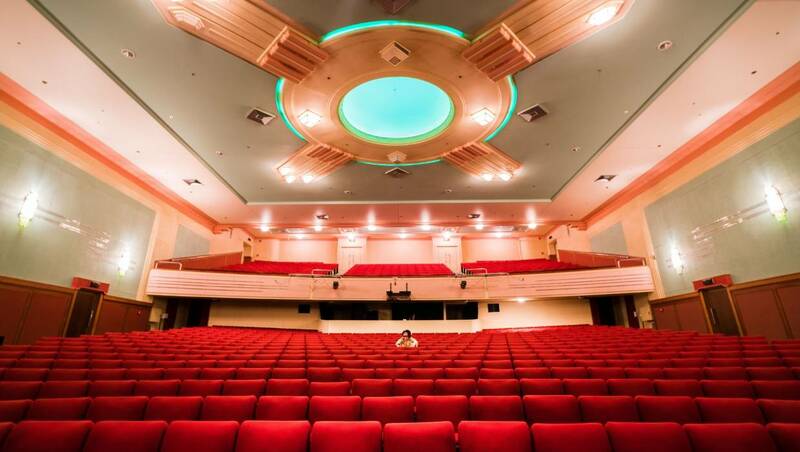 We were even taken inside the grand Napier Municipal Theatre with its huge buzzing neon lights, considered state-of-the-art at the time. There are more than 70 wineries spread across the region; it’s the second biggest producer of wine – behind Marlborough. Hawke’s Bay is internationally recognised for its rich reds: Merlot, Cabernet Sauvignon and Syrah. 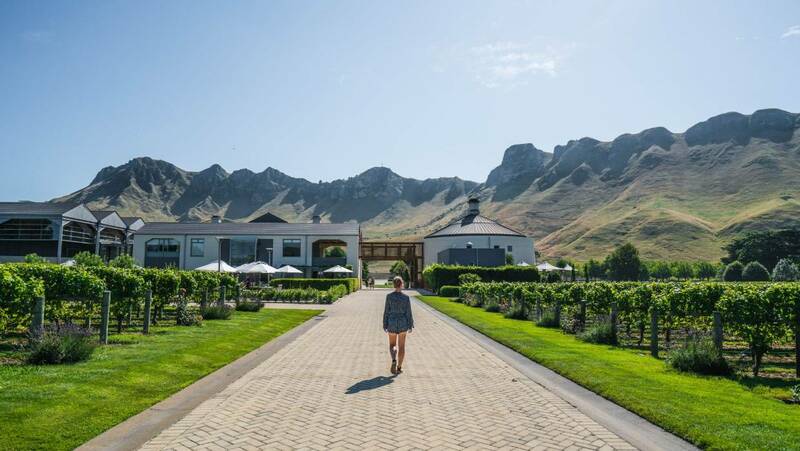 More than 30 vineyards offer cellar door tastings – including the iconic Craggy Range – with its grand Spanish-style Giants Winery sitting among lush vines at the base of the mighty Te Mata Peak. 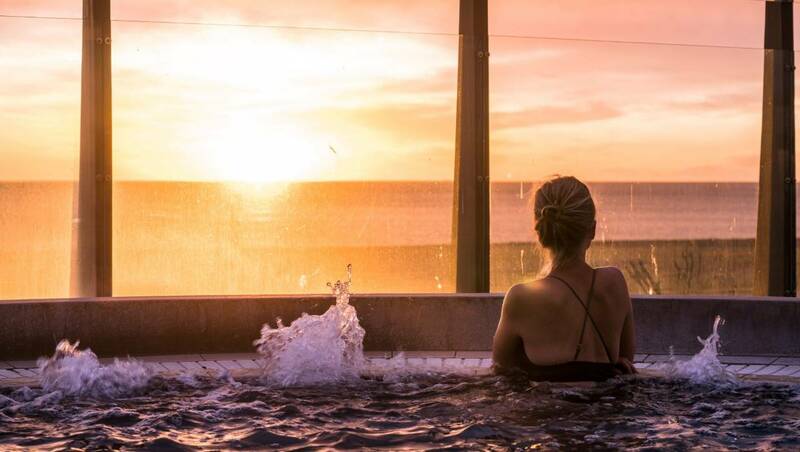 Elephant Hill is another excellent choice, with fine food and views overlooking the sea and the distant – but imposing – cliffs of Cape Kidnappers. 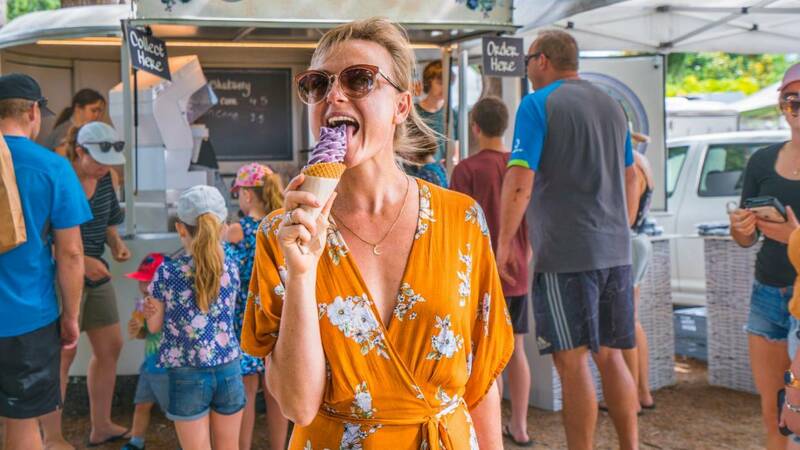 The Hawke’s Bay Farmers’ Market is one of the biggest in the country – where growers and artisans gather in huge numbers behind their stalls bursting with all variety of colours, shapes and sizes. We encountered plums that were the size of a grapefruit, fresh fruit ice cream, spiced walnuts, bacon butties and wood-fired pizza – to name just a few of the delicious treats. 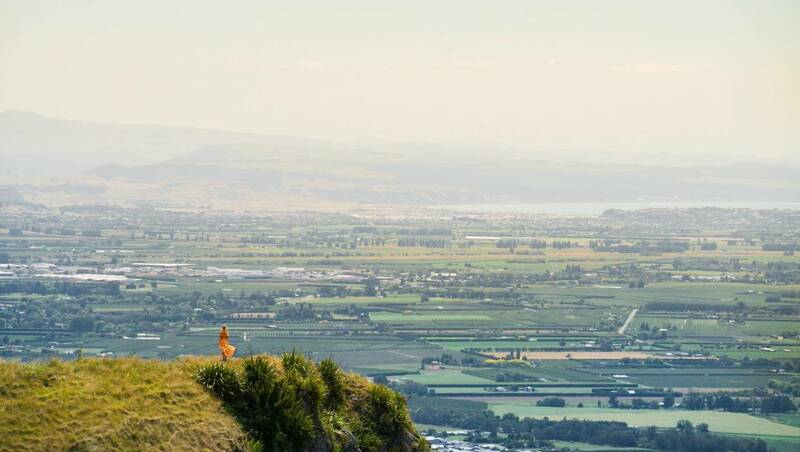 After the market, head up nearby Te Mata Peak (you can drive right to the top) for sweeping views of the Hawke’s Bay. 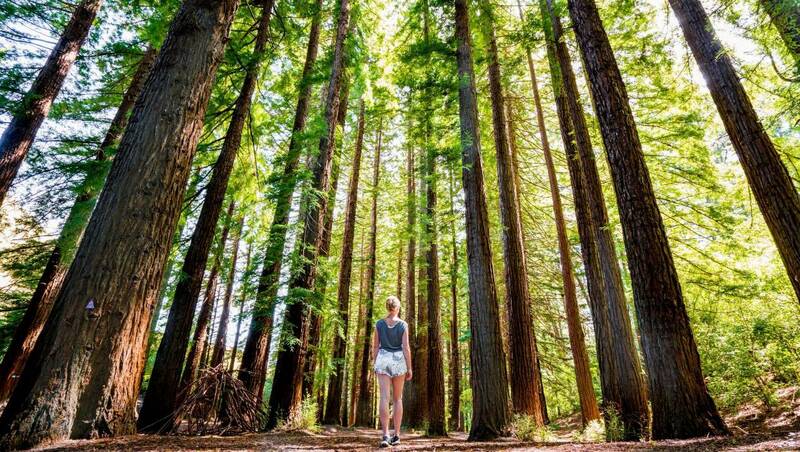 On the way down, pop into the Redwood Forest, where you’ll find more than 200 Californian redwoods – the tallest tree species in the world. A trip to the Cape Kidnappers gannet colony, accessed along the beach, can’t be missed. The dramatic cliff formations that line the shore are like an open-air museum, with millions of years of layers – even old fault lines – all on display. The gannet colony at the end of the cape has around 6500 breeding pairs, making it the largest mainland colony in the world. Gannet Beach Adventures take people out to the colony on vintage tractors and trailers – which is a great family day out. Unfortunately, due to a recent slip which injured two walkers, beach access is closed – and a date is yet to be set for reopening. 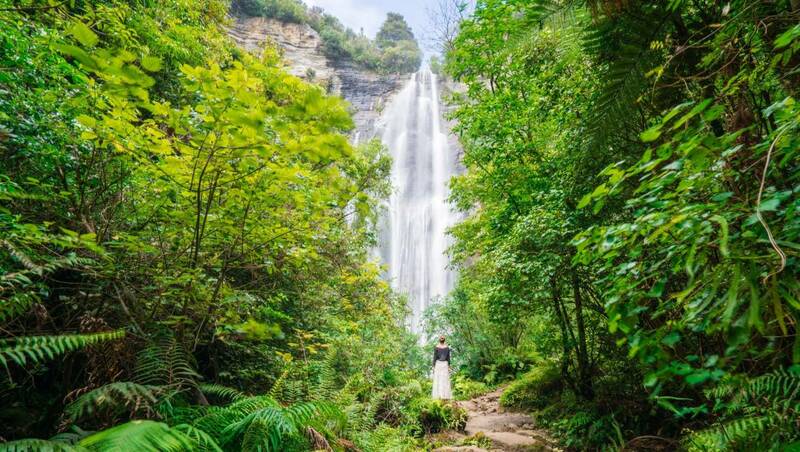 A trip to Shine Falls, Hawke’s Bay’s most spectacular waterfall, is also an excellent way to spend a hot summer’s day. It sits an hour and a half north of Napier, with a further hour walk through native forest to get to the falls. It’s worth the effort; the thunderous 56-metre drop, nestled in dense bush, is a wondrous sight and particularly popular with locals. 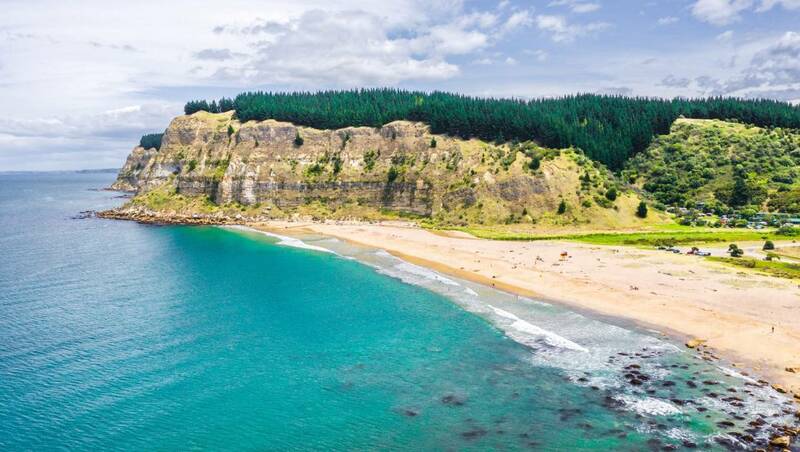 On the drive home, take a pitstop at Waipatiki Beach, a golden stretch of sand with cliffs either side, for a cool-off and ice cream. Your hosts Lynn & Wayne are pleased to offer you luxury accommodation in the sunny Hawke's Bay. The name KALLDEEN is an anagram of the last letter of each of our family member's name, signifying that to us, family is everything. Copyright Kalldeen 2017 by MRD Web.